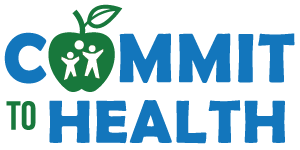 This Commit to Health and Healthy Out-of-School time subscription provides you access to all content related to NRPA's Commit to Health Initiative. This product includes the archive of all past webinar recordings, links to handouts and other resources, and you will be automatically enrolled and notified of any future webinars or training related to this initiative. *Note: please email onlinelearning@nrpa.org if you wish to unsubscribe to this series. Healthy habits are important in out-of-school time programs, but creating an environment in which the community as a whole is benefiting and supporting the success of our youth is key. This webinar will focus on building and strengthening relationships within your community to ensure that everyone has access to the benefits of parks and recreation, and is achieving health equity. Our speakers will look at barriers to access and solutions to these issues, as well as successful partnership models that can be replicated in your own community. Communities have the power to take steps toward health equity – learn how with us! Please take a moment to introduce yourself, share your experience, and collaborate with peers by asking questions within the course discussion forum. Open to view video. Healthy habits are important in out-of-school time programs, but creating an environment in which the community as a whole is benefiting and supporting the success of our youth is key. This webinar will focus on building and strengthening relationships within your community to ensure that everyone has access to the benefits of parks and recreation, and is achieving health equity. Our speakers will look at barriers to access and solutions to these issues, as well as successful partnership models that can be replicated in your own community. Communities have the power to take steps toward health equity – learn how with us! Open to view video. Bonus content provided by Kelly Chanay intended for the session held December 6, 2018. Open to view video. How can you successfully share health and wellness programming with your students if your staff isn’t on board? Join us to learn how creating a successful out-of-school time program starts with inspiring staff to be their best selves. We’ll hear from a local park and recreation agency who created a sustainable culture shift encouraging staff to be healthy, inspired, and ready to teach and lead students successfully through their healthy out-of-school time program. The Alliance for a Healthier Generation will also share policy guidance and advice on creating an internal movement key to improving the health outcomes of your whole agency. 10/24/2018 at 2:00 PM (EDT) | 60 minutes Health and wellness programming and discussions doesn’t need to be limited to your out-of-school time program! Join us to learn how creating a health and wellness mentality in your whole community is possible. We’ll hear from two local park and recreation agencies who are taking their healthy message out of the facility and into the community, and creating a culture shift of staff, parents, and all community members. The City of Kent, Washington, brings their Health, Exercise, Recreation Outreach (HERO) mobile van into the community to meet neighbors where they are, and to encourage healthy lifestyles for all. Salt Lake City, Utah, makes weekly farmers’ markets an interactive experience by offering coupons to students to use at the markets, engaging kids to host a taste-test booth with healthy snacks for all community members to try, and planning scavenger hunts to encourage kids and families to meet local farmers. The Alliance for a Healthier Generation will share community-wide engagement strategies, and tips for creating a culture shift among all generations. 04/26/2018 at 12:00 PM (EDT) | 240 minutes Mark your calendar for a great opportunity to learn more about the healthy out-of-school time movement in parks and recreation. This in-depth training will showcase real-world advice and challenge solutions from agencies implementing the Commit to Health program, as well as tools and resources to connect kids to nature, and tips for successfully marketing your park and recreation programs. Don't miss out on this opportunity to create a healthier environment for youth in your community! Open to view video. How can your park and recreation agency work with other community organizations to enhance and support your health and wellness programming goals? This webinar will look at how the Alliance for a Healthier Generation supports local partnerships, how Mesa Parks, Recreation and Community Facilities worked with local schools to offer summer meals to their out-of-school time program participants, and how the Children's Hospital of Pittsburgh partnered with the Pittsburgh Parks Conservancy and local schools and out-of-school time providers to enhance programming for the whole community. Open to view video. How can you share the lessons you’re teaching in your out-of-school time programs with the whole family – including teens? This webinar will share some proven examples of fun and easy ways to engage the whole family and encourage them to make healthy eating and physical activity a part of their daily lives. Open to view video. Through NRPA’s Commit to Health campaign, park and recreation agencies are creating healthier environments and fostering opportunities for youth to engage in physical activity and learn about healthy living each and every day. But as one of the largest providers of out-of-school time programming, how can we ensure that all youth, staff and families feel included, welcome, and have access to quality out-of-school time programs to engage in healthy eating, physical activity and extended learning opportunities? Join us to explore best practices for creating inclusive and welcoming out-of-school time programs at your park and recreation site. Open to view video. We've all been there. It's the third week of summer camp and your plans to head outside and play a game of dodgeball have been rained out all week. So what can you do? Put on a movie? Nah—you need to get these kids moving and having fun! Join NRPA and the Alliance for a Healthier Generation for this webinar to learn some fun, engaging and creative activities that you can use on a rainy day! Open to view video. Park and recreation agencies are the health and wellness leaders in their communities. Having a safe place to go after school, being active and eating healthy are vital services park and recreation agencies provide. That's why NRPA created Commit to Health—a campaign that supports the implementation and evaluation of Healthy Eating, Physical Activity (HEPA) standards in park and recreation sites across the country. Identified by park and recreation professionals as one of the leading challenges to implementing the HEPA standards, this webinar will offer best practices on holding healthy celebrations, parties & potlucks during their programs. Overcome the obstacle of serving cupcakes, cookies, chips and soda pop while learning some fun and exciting ideas for healthy celebrations. Inter-generational Ideas to Help Kids Eat Better & Move More! Open to view video. Park and recreation agencies are the health and wellness leaders in their communities. Having a safe place to go after school, being active and eating healthy are vital services park and recreation agencies provide. That's why NRPA created Commit to Health—a campaign that supports the implementation and evaluation of Healthy Eating, Physical Activity (HEPA) standards in park and recreation sites across the country. In this webinar series out-of-school time (OST) staff will learn best practices for implementing the HEPA standards at their park and recreation sites, focusing on specific examples and strategies to increase access to healthy foods and increase opportunities for physical activity. Open to view video. A key aspect of sustaining health and wellness changes at your parks and recreation agencies is to turn the best practices your sites have incorporated into their programming into policy. Join the Alliance for a Healthier Generation as we explore Wellness Policies for your Parks and Recreation Agencies. During this time, participants will learn about the Alliance's Healthy Out-of-School Time Wellness Policy Toolkit, see real life examples of Wellness Policies, and discuss ways to ensure your Wellness Policy is holistically implemented across your department. This 45 min. interactive webinar will be facilitated by the Alliance's National Network Manager for the Healthy Out-of-School Time Initiative, Ava Young and National Healthy Out-of-School Time Advisor, Daniel Hatcher. Open to view video. Are you currently working on health and wellness goals? Do you want to ensure that your progress can be tracked and evaluated in the future? Join the Alliance for a Healthier Generation as we explore EASY ways that you can document your progress and incremental successes in order to support long term sustainability. During this time, participants will learn how to create, distribute, and track communication about their snack menus and wellness goals. We will also discuss ways that you can leverage this documentation with your leadership, community, and funders. This 45 min. interactive webinar will be facilitated by the Alliance's National Network Manager for the Healthy Out-of-School Time Initiative, Ava Young and National Healthy Out-of-School Time Program Manager, Nell Tessman. Open to view video. Already made the Commit to Health Pledge? Already completed your online Assessment? Join the Alliance for a Healthier Generation as we explore the next step- Action Planning! During this time, participants will learn how to track their health and wellness goals on the Alliance's website, how to engage others in the Action Planning process, and some best practices for ensuring your plans are effectively communicated to your community and coworkers. This 45 min. interactive webinar will be facilitated by the Alliance's National Network Manager for the Healthy Out-of-School Time Initiative, Ava Young and National Healthy Out-of-School Time Advisor, Daniel Hatcher. Ava DeBovis serves as National Network Manager for the Healthy Out-of-School Time Initiative at the Alliance for a Healthier Generation. Ava is responsible for supporting the Alliance's national partnerships with the National Recreation and Parks Association and Boys and Girls Clubs of America, as well as providing technical assistance and resources for out-of-school time sites as they work to achieve the National Healthy Eating and Physical Activity Standards. She has a degree in Political Science from the College of Charleston and is a proud AmeriCorps VISTA alumnae. Ava enjoys long walks through Maryland parks with her dog Penny and exploring Virginia farmers markets for new varieties of fruits and vegetables. Daniel W. Hatcher serves as National Out-of-School Time Advisor for the Alliance for a Healthier Generation. At the Alliance, Daniel is responsible for managing and delivering technical assistance services and resources for out-of-school time sites as they work to achieve National Healthy Eating and Physical Activity Standards. Daniel has a BA in International Relations and a Masters of Public Health, both from Western Kentucky University. Daniel regularly blogs on topics relevant to healthy afterschool at https://host.healthiergeneration.org/new__notable/. Lane Gram is a Recreation Supervisor of adaptive programs, youth programs, and volunteers for the City of Mesa Parks, Recreation and Community Facilities. She has over 15 years of professional experience encouraging people of all abilities to lead an active and healthy lifestyle. Lane is a Certified Therapeutic Recreation Specialist (CTRS) and received her Bachelor’s Degree in Recreation Therapy from the University of Iowa. Anne Marie Kuchera, MS, MA, RD, LPC, currently serves as Director of Community Health for Children’s Hospital of Pittsburgh of UPMC where her responsibilities include identifying health needs of the community and integrating services between community-based and hospital systems that address these needs, with particular attention to the social, behavioral, and environmental factors that influence health – factors such as access to care, preventive health, food and nutrition, family supports, and active living. Amy Jewett has worked in the recreation field for six years and has been a part of the City of San Jose's Parks, Recreation, and Neighborhood Services department for the last four years. Amy has her B.S. in Kinesiology with a minor in Psychology, where she focused her education on healthy recreation throughout the lifespan. Although Amy began her career working with older adults, she recently moved to youth programming, helping to manage the out-of-school time programs at a citywide level. Amy is also certified in multiple evidence-based fitness programs and is a Master Trainer for Enhance Fitness. In her free time, Amy enjoys spending time outdoors and reading. Stacey McDaniel is the Anti-Hunger Initiatives Specialist and National Spokesperson at the YMCA of the USA (Y-USA). Since 2013, she has worked to grow and enhance the national efforts of the Y in ending child hunger, offering assistance and guidance to local Ys to strengthen child nutrition programs across the country. McDaniel collaborates with national partners to better address childhood food insecurity, and implements innovative meal program ideas/models across the Y national movement to help better address youth hunger in local communities. During her tenure, the Y has expanded its anti-hunger work, piloting a national peer mentor system and increasing number of youth served per year by 131% and number of meals served per year by 165%. In 2016, nearly 487,000 youth received over 19 million healthy meals and snacks at more than 3,500 sites through the Y’s Year Round Food Program. Elyse holds a B.A. in Communication Arts, Gender Studies, and LGBT Studies from the University of Wisconsin. She is also a Master of Arts in Adventure Education candidate at Prescott College. She is the founder and Executive Director of OUT There Adventures and the co-organizer of the first ever LGBTQ Outdoor Summit. Elyse has been an outdoor educator and guide since 2006, is an American Canoe Association Sea Kayaking Instructor, Wilderness First Responder, and has training in motivational interviewing, trauma informed care, behavior management and de-escalation, and positive youth development. Elyse is also known for her unwavering work ethic and passionate defenses of the Green Bay Packers and Wisconsin cheddar.